VeloNews.com has posted the last of its cooking show video series Inside the Feed Zone. In this final video, you can learn how to make Allen Lim’s rice cakes and wrap them for easy portability. Check! It! Out! You can download Lim’s rice cake recipe from this website’s second Test Kitchen post or just below the video on VeloNews.com. 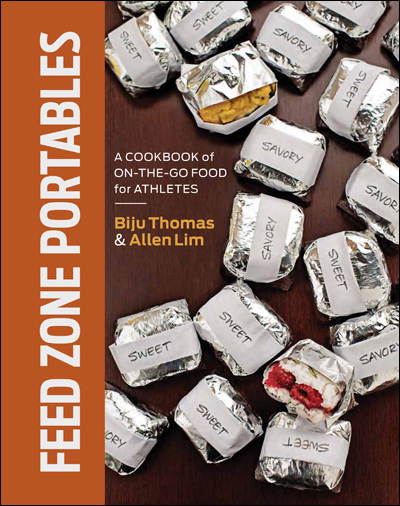 This is not the only portable dish in The Feed Zone Cookbook. You can also download this recipe for the book’s Fig and Honey Rice Cakes or buy the book for an entire chapter of portable dishes. Just got the cookbook finally! I made these rice cakes and man are they good. I’ve got a whole batch ready for this week’s rides!